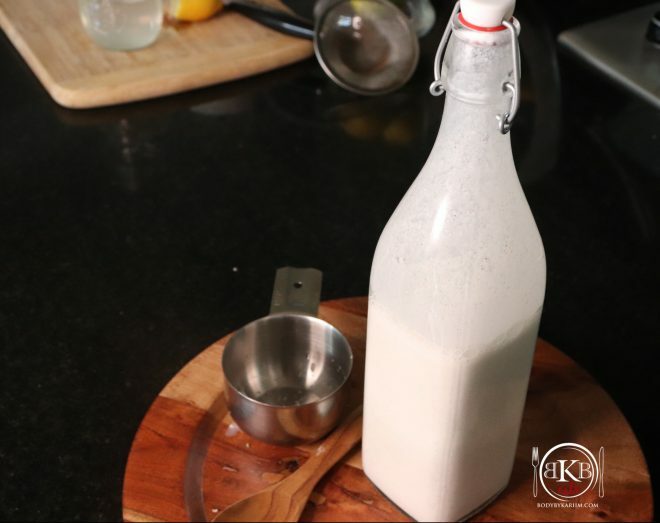 Organic hemp milk is a staple in our home and something I enjoy making! We add it to our steel cut oats, smoothies, and our daughter Elle drinks it. It’s full of nutrients & tasty! Hemp milk is a completely natural – plant based milk derived from hemp seeds. The nutty creamy milk is created when the seeds are soaked and ground/blended in water. Hemp seeds are rich in healthy fats and essential fatty acids. They are a great source of protein and contain high amounts of vitamin E, phosphorus, potassium, sodium, magnesium, sulfur, calcium, iron, and zinc. Hemp seeds contain all 8 essential amino acids. One glass of homemade hemp milk contains more protein than a glass of cows milk. Hemp seeds can be consumed raw, cooked, roasted, or in milk form. Hemp seeds may reduce high blood pressure and risk of heart disease. 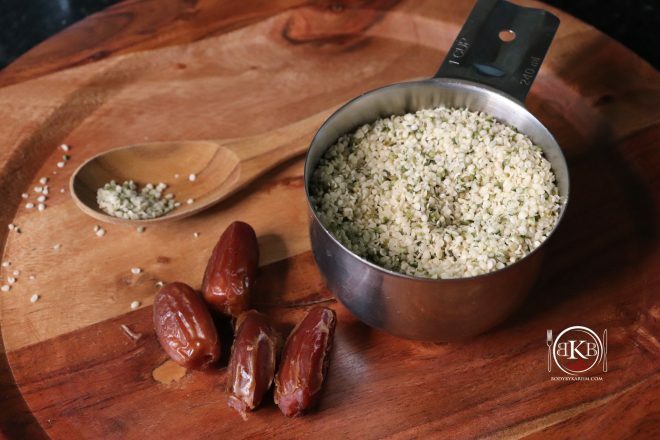 Add hemp seeds, dates, and water (additional ingredients if using) to high speed blender.